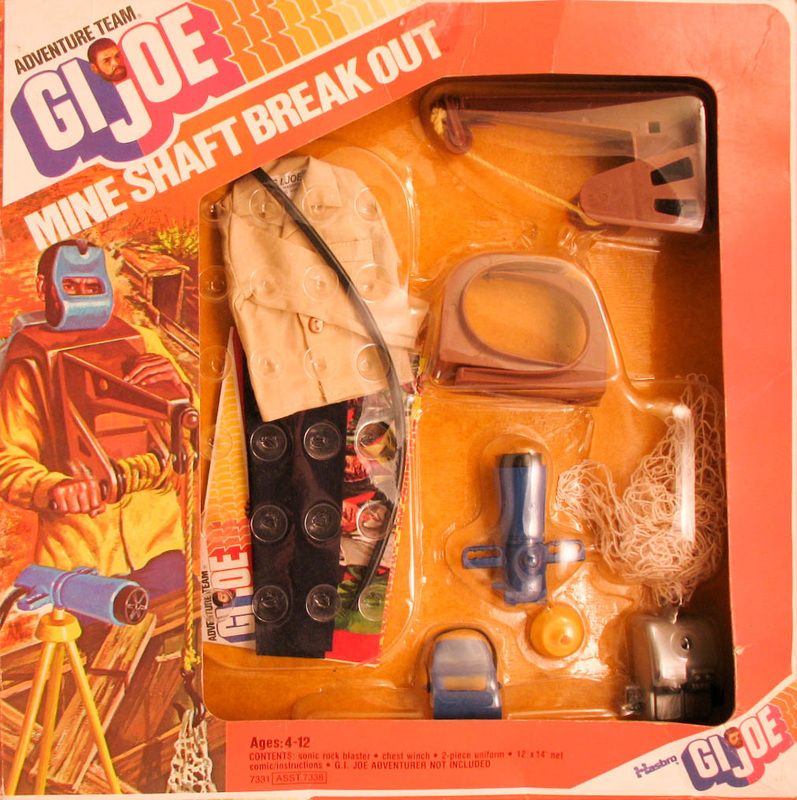 Mine Shaft Breakout (7339-3) put together recast versions of the Chest Winch (now in brown) and the Sonic Rock Blaster (with a silver waist pack and rubber strap face mask). The uniform is a lightweight polyester combination of a tan shirt and black pants. A cargo net is added to hold whatever the chest winch can bring up from the depths of the mine shaft.